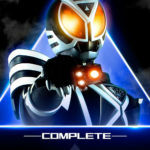 Another high resolution gallery and review by ShiShiOh is up, this one of the Kamen Rider 555 fame! 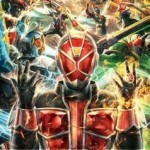 Check out these beautiful images of Kamen Rider Delta! You can check out ShiShiOh’s entire gallery and review by clicking here. 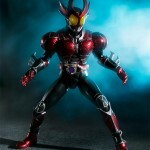 With all the recent images of upcoming figures, is Kamen Rider Delta on your list of figures to pick up? Let us know if you’re going to be picking him up! While nothing new has been announced yet several prototypes were shown on display. 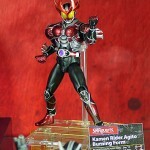 Shown in the display were S.H.Figuarts Agito Burning Form and the Recently announced S.H.Figuarts Delta. Along with Figuarts Blue Spader and the S.I.C Hoppers Two pack. Make the jump to check out the photos taken by Cybergundam. › Companies: Tamashii Nations, Bandai › Characters: Kamen Rider Agito, Kamen Rider Delta, Kick Hopper, Punch Hopper › Toyline: S.H. Figuarts, S.I.C. 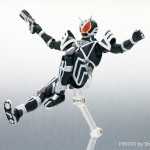 Bandai’s Tamashii Nations website has just updated with official images of its forthcoming December releases, and leading the way for the Kamen Riders are S.H. Figuarts Kamen Rider Agito Burning Form and Kamen Rider Delta from Kamen Rider 555! Burning Form will be priced 4200 yen, and will include two versions of his weapon the Shining Caliber. Meanwhile Delta will be priced 3675 yen, packaged with 3 versions of the Delta phone and a swappable Delta driver. Check out the official images after the jump! According to scans from the latest issue of Hobby Japan magazine, joining Figuarts Agito Burning form and Ultra-Act Ultraman Zero V2 this December will be the third Rider from Kamen Rider 555 – Kamen Rider Delta! Delta will be a mass released figure, retailing for 3675 yen. He will come packaged with the SB-333B Delta Driver, SB-333P Delta Phone, SB-333DV Delta Mover and the usual array of interchangeable hands. Check out the full sized scan after the jump! 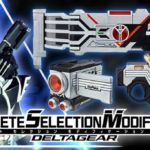 SH Figuarts Kamen Rider Delta, Psyga, Orga plus Wolf & Horse Orphnoch Scans! First seen at Tamashii Nations a few weeks ago, this group shot all but completes the cast of “Kamen Rider Faiz” in Figuarts form! As the pictures start rolling in from Bandai’s 5th Anniversary Tamashii Nations event, online retailer Amiami have also begun extensive coverage via their Facebook page, as have hobby blog CyberGundam. On show are a variety of figures for the SH Figuarts line that should please both Kamen Rider and Super Sentai fans alike! Among the displays was an extensive Kamen Rider Fourze setup, which featured all the figures release/to be released, including all 12 Zodiarts! 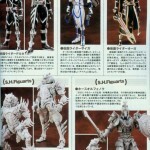 The downside is, aside from Sagittarius all newly revealed Zodiarts look to be non-posable Figuarts Zero figures. Next up is the “Legend of Masked Rider” display, which included Riderman, Tackle, Kamen Rider X, Apollo Geist and a Shocker Grunt among its ranks! Also among the Kamen Rider displays is Blade, one of the highly-anticipated releases and an impressive Kamen Rider Faiz diorama including Kamen Rider Psyga! The ENTIRE cast of Kamen Rider Ryuki is on display at the Festival, complete with Advent Beasts! Rounding off the characters we have Kamen Rider Wizard in Flame, Land, Hurricane and Water styles! Finally we have a number of Kamen Rider bikes! 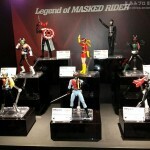 On show are Kamen Rider 1’s Cyclone, Ryuki’s Ride Shooter, Blade’s Blue Spader, Den-O’s Den Bird and Zeronos’ Zero Horn! Metal Hero furthers its transition to Figuarts with Gavan Type-G, Shaider and Sharivan on display! Finally on the Super Sentai things we have the reappearance of the long awaited Tyranno Ranger/Mighty Morphin’ Red Ranger, who recently made his debut at New York Comic Con a few weeks ago. Topping off this reveal was probably the most anticipated Zyu team member, Figuarts DragonRanger! Alongside this was also a Go-Busters display, however this did not include any newly announced figures. Finally, Akibaranger also added a few new figures to its ranks – as well as the previously revealed Malshina, Delu Knight and Aoi-tan were also seen! Check out the full image gallery after the jump, and discuss other non-toku figuart reveals (including Sailor Moon, Code Geass and more) over at our dedicated discussion thread. Keep checking TokuNation.com for more updates from the event!